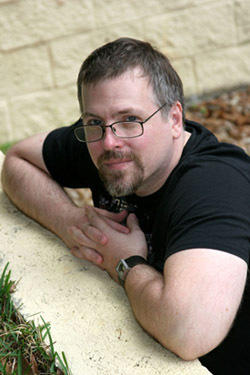 Jeff has had novels published in 15 languages, won multiple awards, and made the best-of-year lists in Publishers Weekly, the San Francisco Chronicle, LA Weekly, and many others. His award-winning short fiction has graced many anthologies and magazines; he has edited or co-edited more than a dozen influential fiction anthologies for, among others, Bantam Books and Pan Macmillan; with his wife Ann, he has lectured, conducted master classes, and given workshops all over the world; and his literary achievements hardly stop there. QUESTION 1: Your fantasy writing has won the World Fantasy Award and been a Year’s Best Selection from Publishers Weekly, Amazon.com, and the San Francisco Chronicle, among many other distinctions. Your novels are published in multiple translations and are well sold internationally. What secrets or lessons have you learned that you think all fantasy writers should know? There’s only one secret: write from your heart and what you feel most deeply. The rest will take care of itself. Personally, I find no difference between writing fantasy and writing mainstream realism (which I’ve also done, at the short-story length). Following trends, trying to think of certain kinds of fiction as separate or apart from others tends to marginalize certain things, makes it less likely that cross-pollination will occur, etc. QUESTION 2: What compels you to write fantasy and to bring your readers into a world with a willing suspension of disbelief? Was there a book or an author that highly influenced you? It’s really not a choice. It’s more that I have an absurdist-surreal worldview that comes out in my fiction as fantasy, horror, SF, magic realism, what have you. My three primary original influences were Angela Carter, Edward Whittemore, and Vladimir Nabokov. QUESTION 3: Do you approach writing a novel and writing a short story differently? A novel allows for a certain number of digressions, tends to have more characters, and allows for a more complex structure in terms of breadth. A story can be quite deep but not have the same breadth. When an idea reaches critical mass in my head, I usually have a good idea of whether it will be a story or a novel because of the number of characters, the length of time involved, and the number of scenes. Novels tend to seem like a long hall of mirrors. Short stories are like one mirror, or window, I’m staring into. QUESTION 4: How important should blogging be to a writer, in your opinion? It has to support the main writing, it can’t replace it. Some writers start rapaciously blogging before they’ve even sold a book, as a way of building an audience for the book. I don’t think this is a good strategy. Get the important work done first. Blog if it’s fun, but don’t do targeted blogging like that. Once you do have a book sold, then, yeah, you can weave in some posts about the book. But the blogging should be fun, and secondary. Not just PR for the book and a slog. QUESTION 5: You write a lot about “sustainable creativity.” Tell me more about what you mean by this phrase and what writers should take away from it. It’s knowing both your limits and how far you can go, in the context of protecting your private book life — your writing — while also building a career. These two things need a firewall between them, and anything that erodes the wall, including Internet addiction, means your life and your writing life will suffer. Finding balance is a necessary thing in our modern world. You have to engage the world, but you also need that time to have ideas gestate and the time to write, without being fragmented.